The Paris Project is the perfect combination of talent, art and tradition. 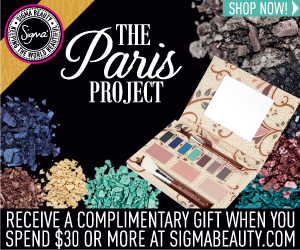 Seven renowned beauty experts (TiffanyD, Xteeener, DulceCandy87, Xsparkage, Frmheadtotoe, Petrilude and MacNC40) explored the City of Lights and developed an original makeup palette inspired by the alluring city of Paris. For the next 7 weeks we will be releasing a tutorial and vlog from each of the artists involved in the Paris Project. The limited edition Paris Makeup Palette includes eight eye shadows that were influenced by landmark monuments and locations in Paris. It also includes two blush colors and one highlight shade, carefully developed by the beauty experts to compliment all skin tones. The Paris Makeup Palette is completed with two essential Sigma brushes, E55 – Eye Shading and F40 – Large Angled Contour, for flawless makeup application. 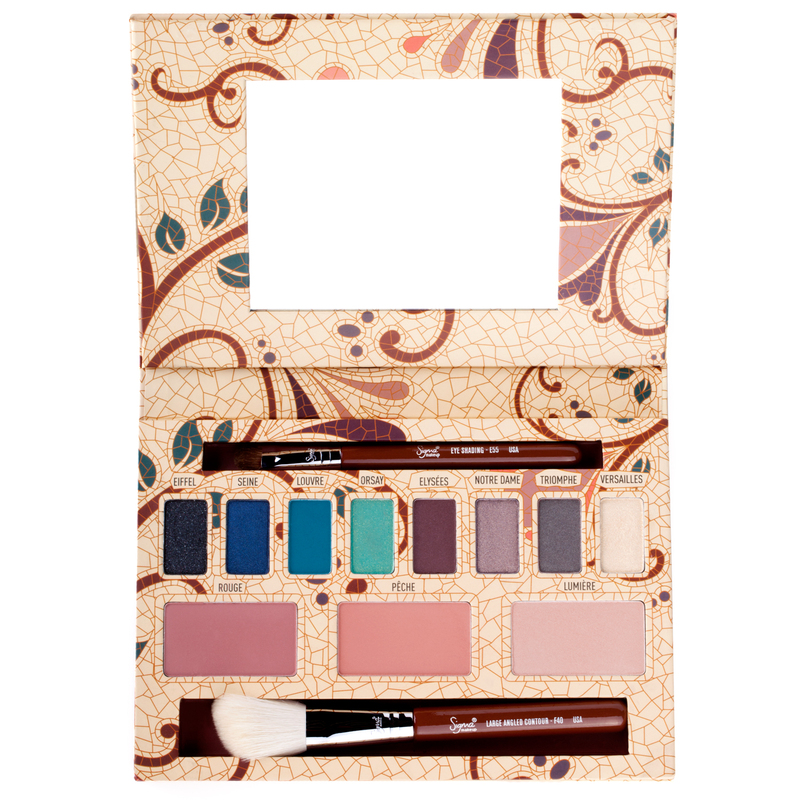 The Paris Palette is a beautiful and unique work of art. The palette stunning, a great value and is limited edition, so don’t delay sharing the product information! I ❤ ❤ ❤ ❤ new Sigma Palette! Awesome ! Perfeita, quero uma...mal posso esperar para pedir a minha. It looks lovely. I can see behind it a great work, because everything is very carefully prepared. For me it'll be just a dream but I'll update my blogs with banners so everybody can see this jewel!!! I can't wait to see the tutorials!! Sigma como sempre nos surpreendendo... por isto eu adoro! Nossa amei essa paleta,super hiper mega linda!! Great palette and wonderfull banners!